Abu Dhabi: Lewis Hamilton is ready to toast his fifth Drivers’ Championship crown with a party in Abu Dhabi, after taking his 11th pole position of 2018. The Mercedes driver qualified in record-breaking fashion at the season-ending Etihad Airways Abu Dhabi Grand Prix on Saturday. Hamilton was elated with the effort and the prospect of finishing the season on a high. “It is a lot of fun honestly going into it,” said the 33-year-old, who clocked up the 83rd pole of his career, and also his 52nd pole in the last 100 races. It was his fourth pole here at the capital track. Hamilton admitted the going got tough towards the end of the third qualifying session after he had earlier smashed the track record for provisional pole. Hamilton has tasted victory here three times before in 2011, 2014 and 2016. He finished second last year behind his teammate Valtteri Bottas, who will start second on the grid behind Hamilton on Sunday. Speaking about his showing for the evening, Bottas said there were a few moments where he lost out on crucial time. “My first run, I could feel there was plenty I needed to improve. The gap was smaller between us in the first run. Second run there was definitely some track improvement and both [Hamilton and I] managed to find some time but it got more complete in the lap towards the end. I think what hurt was there was a couple of runs in the laps with the old tyres in Q2. Some other rounds, I struggled with something in the car but happy to have a decent run in the Q3 as that way we could secure one-two,” said Bottas, who last year had pipped Hamilton for pole. 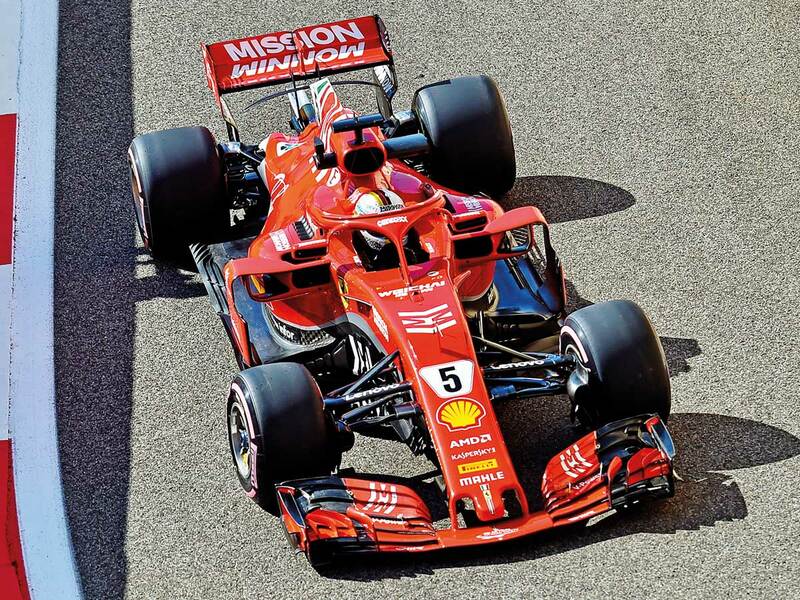 Ferrari have never won here in Abu Dhabi but with Sebastian Vettel set to start third on the grid, they too will believe of breaking the jinx. Vettel has won here with Red Bull in 2009, 2010 and 2013 but his current team, Ferrari, have neveer claimed victory in Abu Dhabi.